Rotorua is one of the most beautiful places in New Zealand and is one of the top tourist centres. It is an exciting place to study and experience New Zealand culture. Tourism Rotorua has some useful information about studying in Rotorua on their website. RELA belongs to a group of local schools called Education Rotorua. We have published a number of brochures in different languages which you can find below. These may be helpful in helping you to choose Rotorua as the best destination for your language studies! Have a look at Tourism Rotorua’s latest video showcasing some of the awesome things you can see and do while you study with us. If you like adventure, then Rotorua is the place you should be! Rotorua is the perfect place for visitors who love to have some adventure in their lives. We are close to just about any activity you could imagine! Experience Rotorua’s wonder for yourself. Come and see some of the most beautiful hot pools in the world! 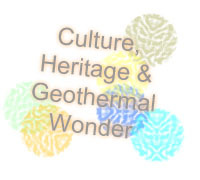 You will see boiling mud and steam, geysers erupting, and Rotorua has lots of history. You can see a Maori concert and enjoy a traditional Maori Hangi. We have some wonderfully relaxing activities also. 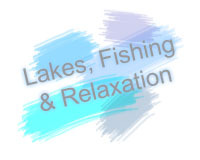 Walks, fishing, hot spas, bike rides and lake cruises. Rotorua has many beautiful walks available to the public, we also have hot spas, fishing, tennis, horse riding, football, badminton and many golf courses both large and small. Rotorua has almost everything you could imagine, and if we don’t have it – you can be sure that it isn’t too far away! Rotorua is centrally located in the North Island, it is 1 hour away from beaches, 2 hours away from the snow or glow worm caves and only 3 hours away from the city centre of Auckland.